The personal legacy that Adolfo Camarillo carved out in Ventura County continues with the hospitality and setting that his property- the historic Camarillo Ranch – offers even today. We love producing weddings as this special property and the backdrop for a ranch/farm style wedding is always perfect. The large space allows for many event options, and in the case of Carolyn and Justin, allowed for some furry wedding companions. I mean, what wedding is a wedding without an Alpaca? 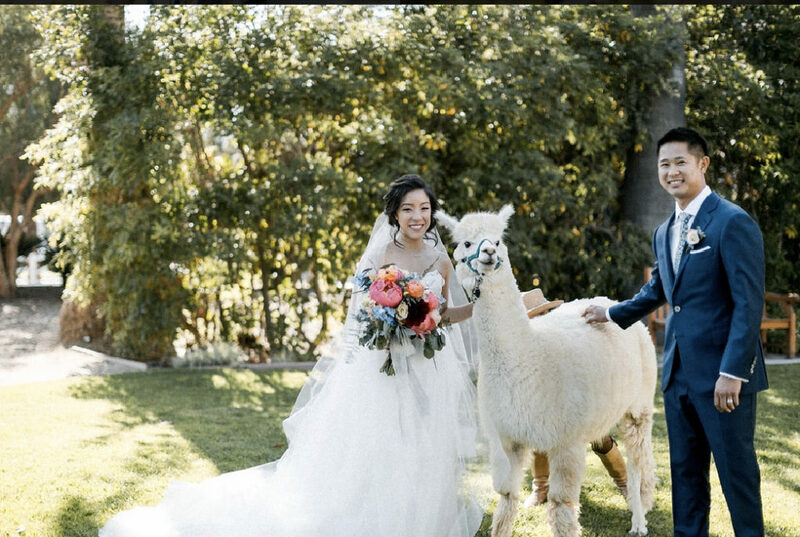 Just as charming as the unique touches the Alpaca and canine friends brought were the happy couple and their family and friends, with whom we loved working and developing their wedding menu.